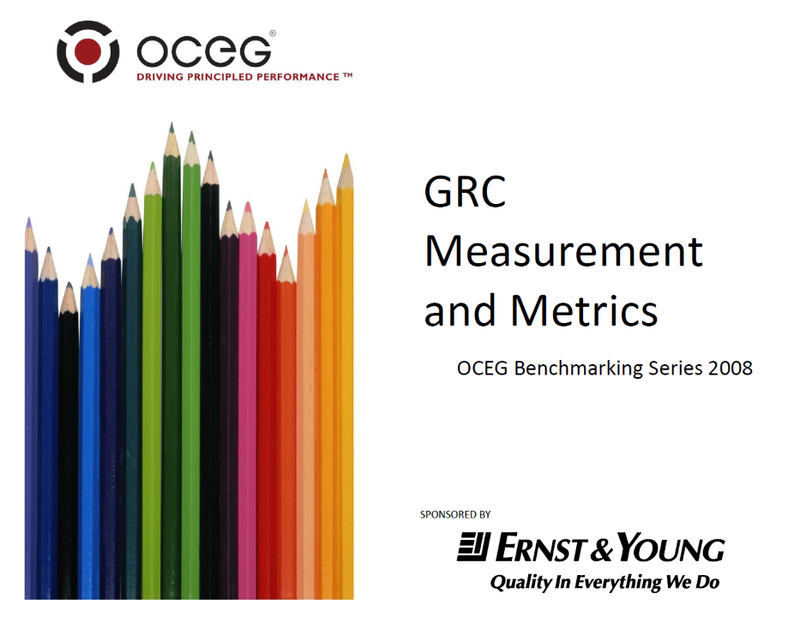 This benchmarking study report provides the responses of more than 250 organizations about their use of measurement and metrics for GRC, including how they use leading and lagging indicators for governance, risk management and various aspects of compliance programs. We have emailed instructions to access 2008 GRC Benchmarking – Measurements & Metrics to . Make sure the email arrives in your inbox: either add "support@oceg.org" as a safe sender to your email platform, or if you use Gmail, drag our email into your Primary tab.